Richard Macmillan Stingle, long-time friend and colleague of James Reaney, passed away on November 22 at University Hospital in London, Ontario. Richard was a friend and mentor to many of us, and we will remember him for his fierce wit and his generous spirit. 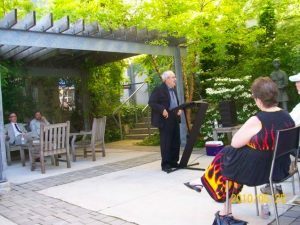 For more memories of Richard, see Don Hair’s tribute and JBNBlog. 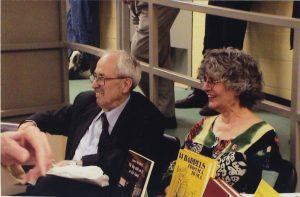 Richard Stingle with Jean McKay at “The Art of James Reaney,” Landon Library, June 9, 2006, London. Ontario. 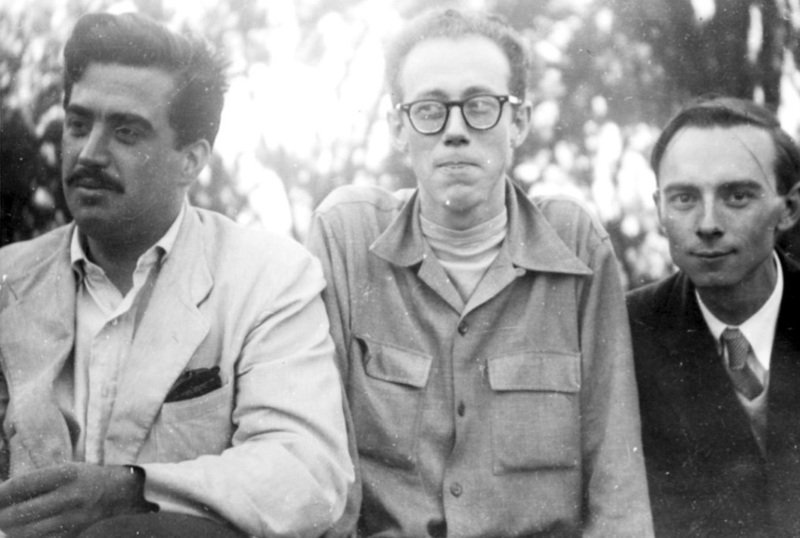 Student days: Richard Stingle, Bob Patchell, and James Reaney in Toronto, 1949.